It's no surprise that if you get into bed with Larry Ellison there is a chance you might get burned. He is one of the richest men on a planet for a reason. Has anyone forgotten what happened to PeopleSoft when it tried to refuse Ellison's overtures? But anyone who thinks San Francisco Mayor Gavin Newsom has checked out as he awaits to start his new job in January is sadly mistaken. Newsom is working overtime, he says, to ensure that his city was not used as a pawn in the game to host America's Cup. But it sure looks like the City has been used as a bargaining chip for Ellison to negotiate a better deal with Newport, R.I. The racing team led by the Oracle CEO has been publicly talking about a possible deal with Newport over San Francisco. For months it was thought that Ellison would bring his reining champion BMW Oracle Racing team and the America's Cup to his hometown of San Francisco. But recently things have not looked so bright as Newport has emerged as front runner to land the premier sailing race in 2013. 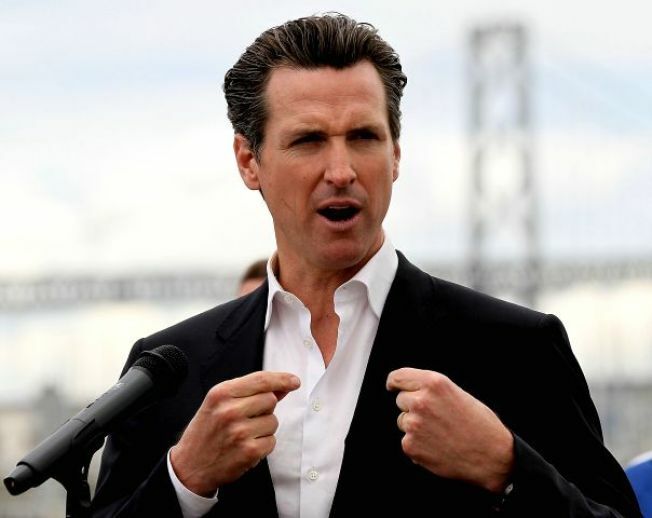 Still Newsom told the San Francisco Chronicle's Matier and Ross that a potential deal is still very much alive and he has been working around the clock to ensure he anchors the race right in the San Francisco Bay. "This is a billion-dollar economics package, with thousand of jobs and a big investment by their organization. I can understand their need for certainty," he told the paper. Ellison and his team are expected to make an announcement by Dec. 31.